If you are interested in diving deeper into your yoga practice, a teacher training can offer more insight into the various aspects of yoga – there is always more to learn! David Quiring and I will be guest-teaching again at the Sky Yoga Teacher Training led by Siobhan Keely in Winnipeg this spring (April 24-May 19). 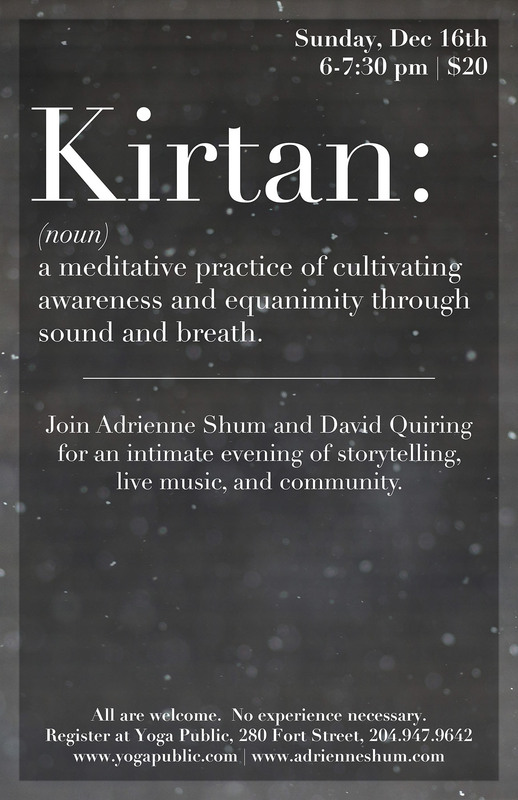 David and I will lead a workshop together on Kirtan and chanting practice, and I will lead an introductory workshop on Ayurveda. For more information about the training, please visit Siobhan’s website: http://www.siobhankeely.com/.